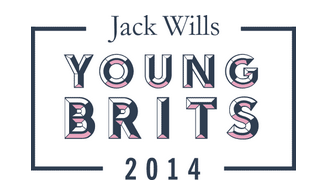 British fashion retailer Jack Wills is looking for 8 extraordinary 16-25 year old’s. Why is Oyster helping to promote this? We have the pleasure of sending extraordinary volunteers and participants on our animal welfare, conservation, teaching and childcare, trekking and ski season programmes where they make a considerable difference to programmes overseas! Many have logged their experience in a blog, presenting at schools to inspire others or by creating short-films to document their experience. We consider these a positive contender for the Endurance and Creativity categories. If you would like to shout about your valuable and extraordinary experience we encourage you to enter this competition where you could be in for the chance to win exciting prizes! Fill in the online application where you will be asked to explain why you think you are extraordinary, what you do which is extraordinary, examples of qualifications, certificates, awards or recognitions from your field and examples of your extraordinary work be it videos, audio, pictures, blog etc. which will showcase your talent. The British public will vote for their favourite applicants and 40 semi-finalists will be chosen. Each finalist will have a 15 – 30 minute web based interview, to convince a judge from their category, why they are extraordinary and deserve to win £5000, a photo shoot, exclusive prizes and industry mentoring. We wish all those who apply the best of luck!